I've long heard of the numerous benefits of using oil to cleanse your skin of impurities. It moisturizes, it doesn't strip all the oil from your face, and it'll improve your acne so you'll have that fabulous skin you've always dreamed of. What? Balance problem skin? Benefit acne? Sign me up! 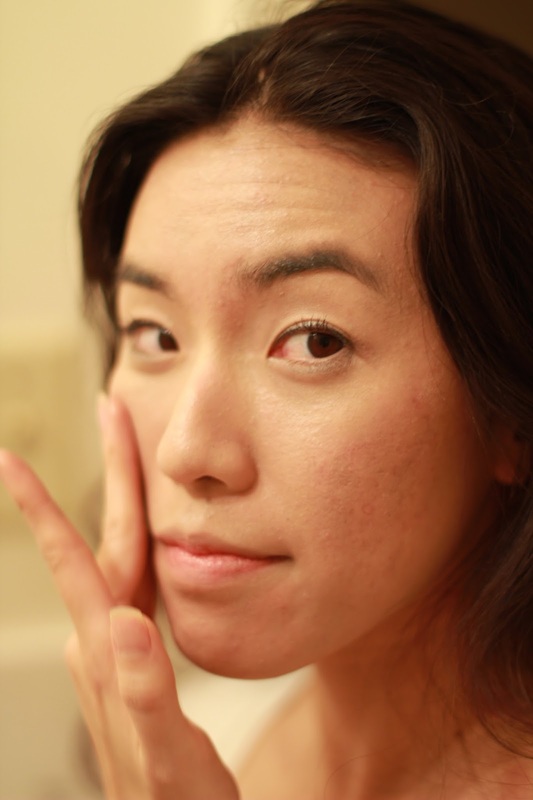 My first experience with oil cleansing was with Shu Uemura's "Skin Purifier." This was the predecessor to the new Porefinist Anti-Shine Cleansing Oil. It was a disaster. After I was lured in by the beautiful, porcelain doll of a sales associate I took my translucent pink pump bottle home and proceeded to cleanse my face with it. HORRIFIC. I broke out instantly. I convinced myself it was just my skin's purging phase and that after my skin got used to oil cleansing, it would turn around and I'd have flawless skin. A couple weeks later it didn't seem like the breakouts were stopping or healing over. My face was getting worse and worse. My sister, who had also started oil cleansing, also broke out with the the "Porefinist Anti-Shine Cleansing Oil", but had a wonderful reaction when she switched over to the "Ultime8 Sublime Beauty Cleansing Oil." Seeing her results I tried to switch, but broke out again. I wasn't having it. I was off cleansing oils forever. Queue Tatcha Camellia One Step Cleansing Oil. I admit I'm easily "Jedi Mind Tricked" when it comes to marketing. 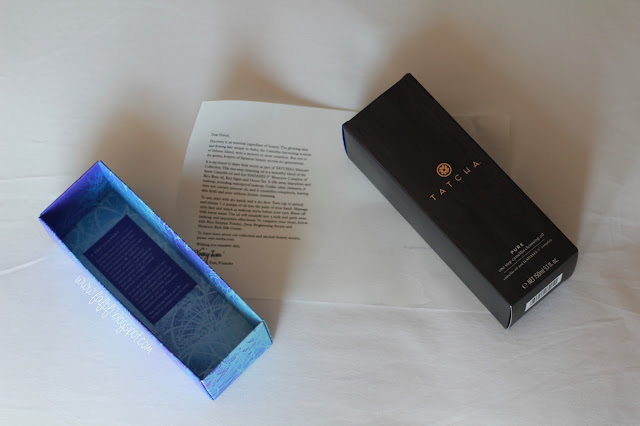 Tatcha not only has an absolutely beautiful aesthetic, they also have a compelling story that blends "old rituals" with new technology: Luxury Skincare Inspired By Geishas. Who could say no to that? 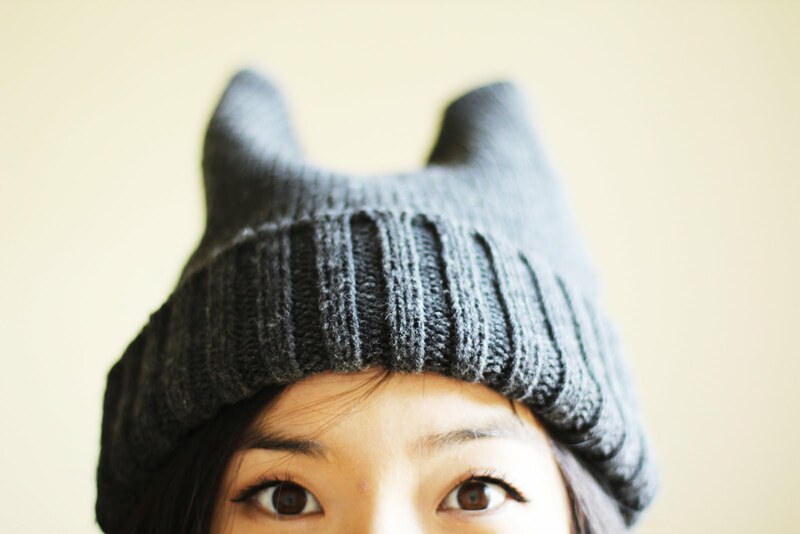 Geisha's are beautiful...I want to be beautiful. LET'S TRY IT. First off, the packaging is very pleasing. I love the detail that's been put into all aspects of the package. There's a ribbon to pull up your new product, rice paper with a note from the CEO delicately wrapped around the tube, and it comes in a elegant ivory pump bottle that has an optional "lock" mechanism so you can (in theory) travel with it. I've been using it for the past month and I haven't broken out. I've broken out due to the normal ladies week and an odd spike of stress now and then, but this cleansing oil has also seen my skin when it was at its best. 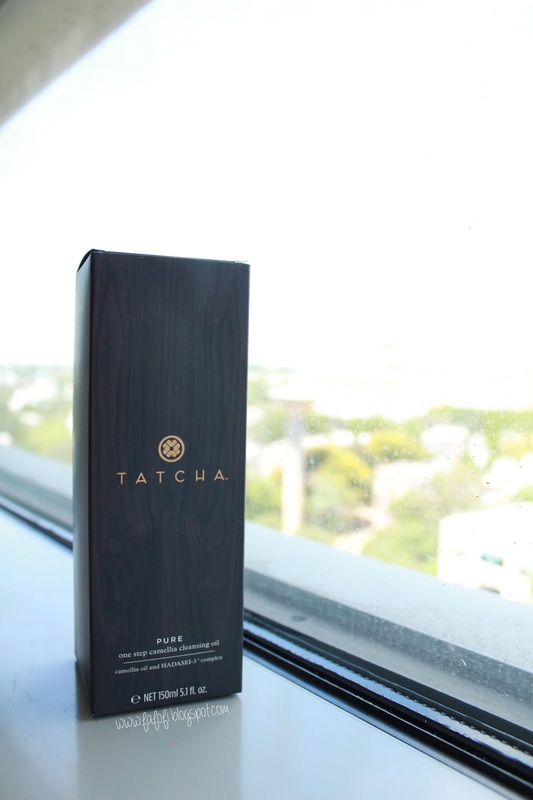 Tatcha Cleansing Oil is a mix of camellia oils with rice bran oils that is free of minerals, parabens, sulfates, colors, synthetic fragrances and all that other bad stuff. It also easily removes my toughest waterproof mascara when my beloved BioDerma couldn't. The oil is just how you would expect oil to be: translucent, slightly viscous, and...well...slightly oily. My skin doesn't feel "stripped" or dry after cleansing. Instead the Tatcha's oil just leaves my face devoid of makeup. Although, according to Tatcha, you don't have to wash your face after using its cleansing oil, I still prefer to "double cleanse" with my La Roche Posay acne face wash. 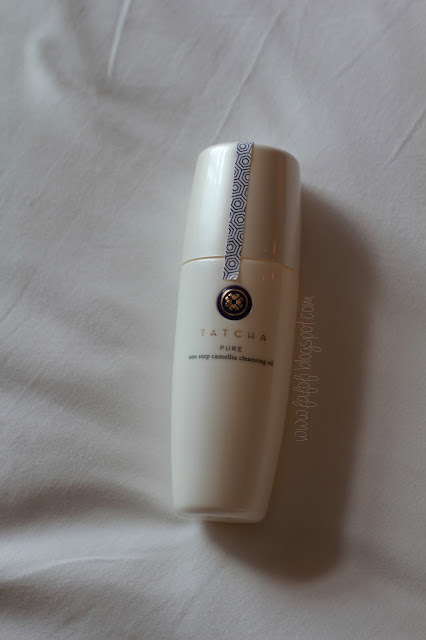 Although everyone's skin is different, I have very sensitive acne-prone skin and Tatcha's cleansing oil has made it's way into my facial routine seamlessly. It is expensive, but I think you get what you pay for with this product. Quality, luxury, and most important, charity! Tatcha is proud partner of Room to Read, where every product purchased equals one day of school for a girl in Asia or Africa. As of January 2015 they've given girls in need 238,174 days of school. So feel good about the products you're buying! I highly recommend Tatcha's Camellia Cleansing Oil. I've included some purchase links below to Tatcha's Direct Site and Sephora. The only gripe I have with this product is that even when I "lock" the pump to travel, a small amount of oil still leaks out. Always put your liquids in plastic bags when traveling! It'll save your clothes and your money! My friend Sandy Young who runs Styled by S, an incredible beauty blog that's just getting started, has an exclusive interview with Tatcha's Founder: Victoria Tsai. I highly encourage you all to check her out!